A flexible adhesive which can accommodate movement in the building boards. Premixed and can be used directly out of the container. 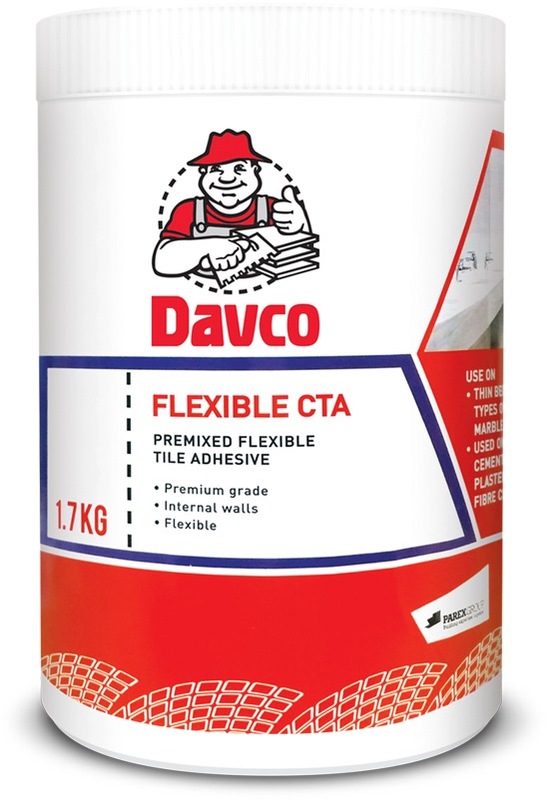 Being white , Davco Flexible CTA can be used to lay marble and translucent ceramic tiles without the risk of the adhesion colour showing through. As Davco Flexible CTA is acrylic based, it is non-hazardous. 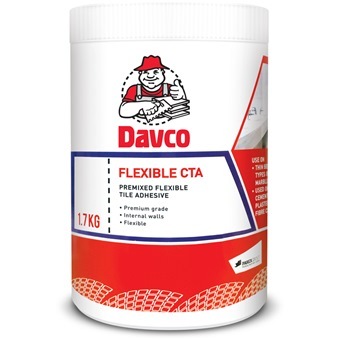 Davco Flexible CTA surpasses the Australian Standard AS2358-1990.